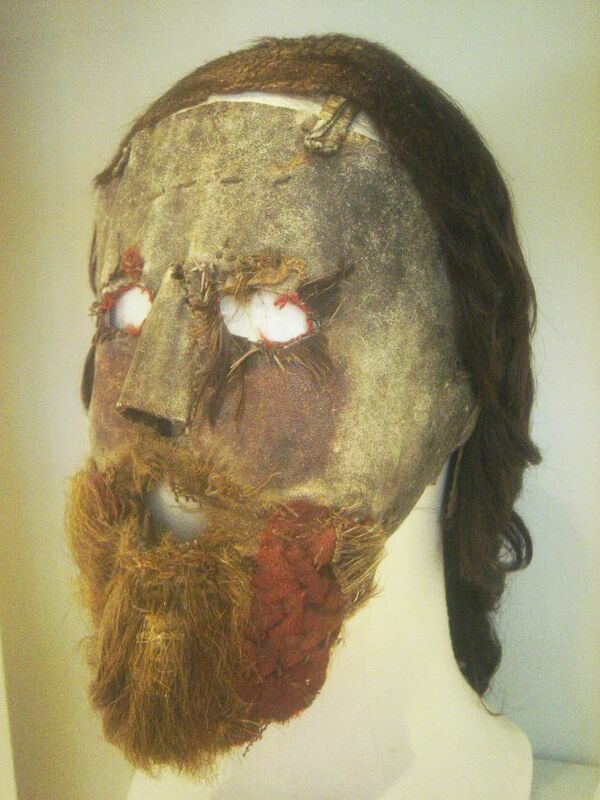 This mask could come straight from a horror film, originally it even had false teeth stitched into its mouth. 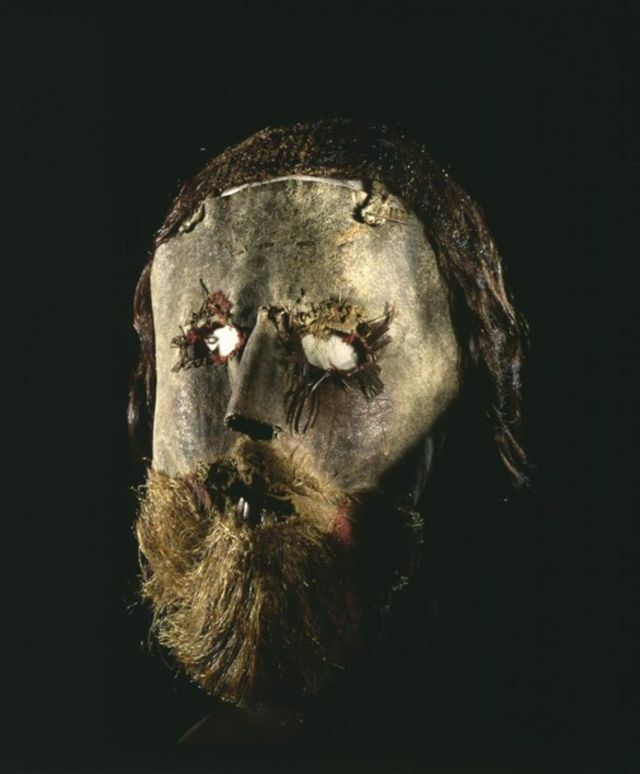 It is made of leather, with real teeth fixed in the mouth and human hair attached to the forehead. 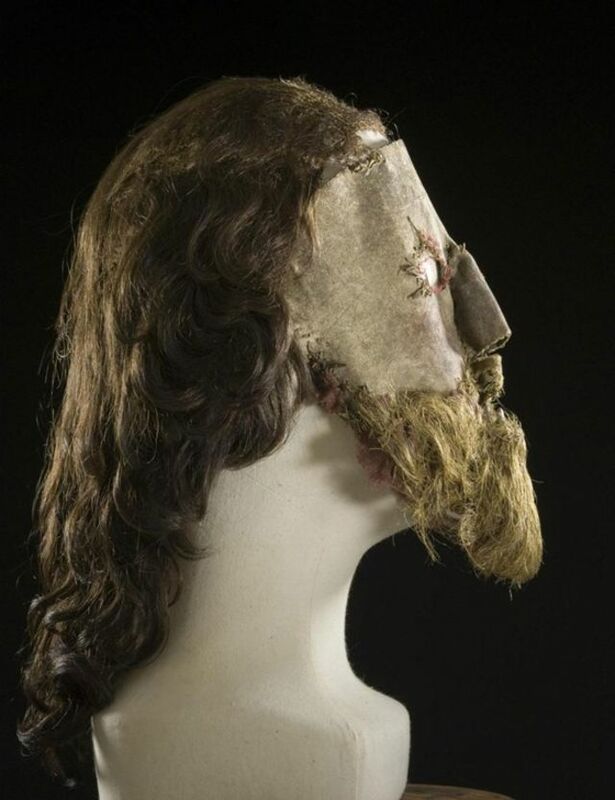 The mask is today in the National Museum of Scotland, Edinburgh. 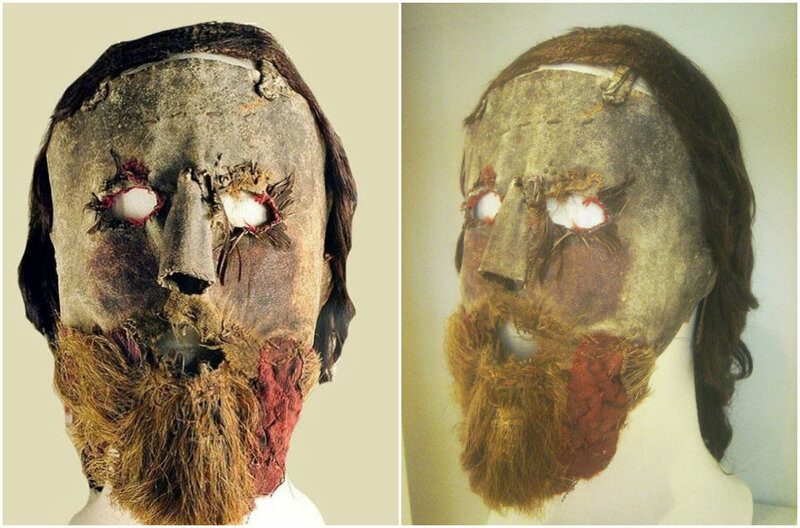 This mask was first discovered in the 1840s in a cottage near Cumnock. 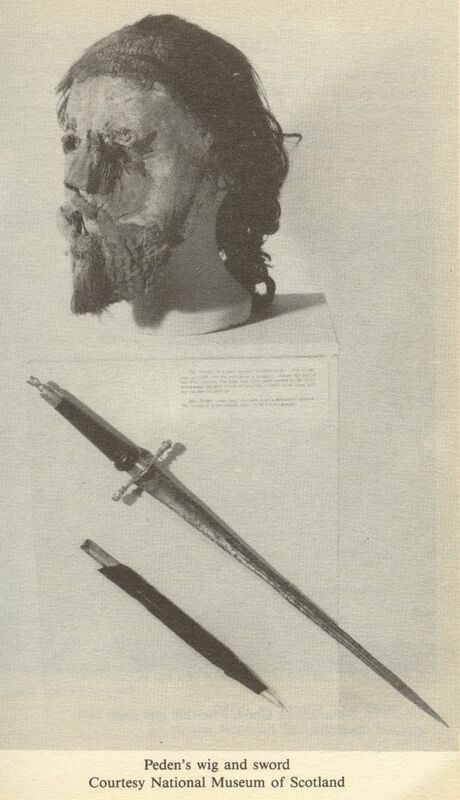 Along with the wig and a sword it had just been handed down from generation to generation as a family heirloom. 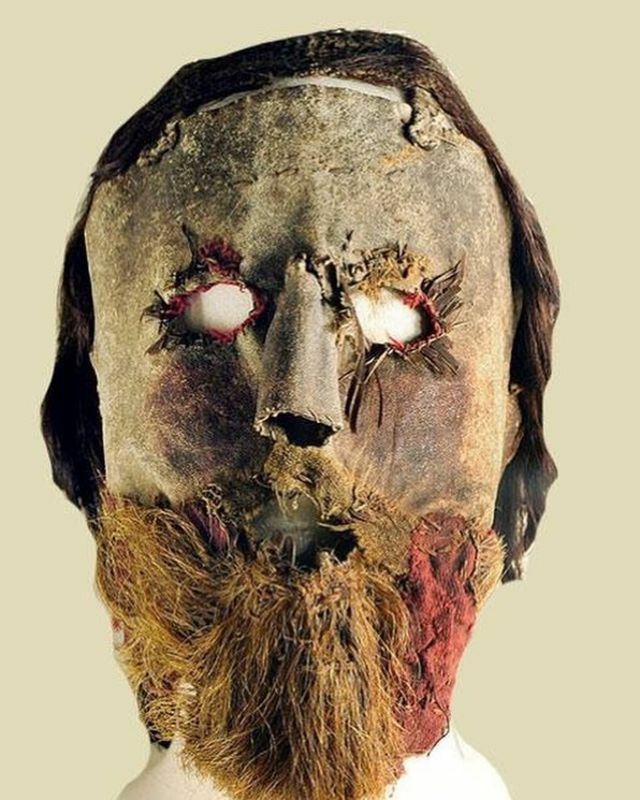 This grim mask dates from around 1660-1670 and was made to disguise the identity of Alexander Peden “The Prophet of the Covenant”. Also known simply as “Sandy”. Alexander “Sandy” Peden was born in Ayrshire, Scotland around 1626. He went to Glasgow University before becoming minister in New Luce in 1659. In 1662, Peden was one of the 300 ministers who were forced to leave their churches after the Restoration of Charles II and the beginning of the persecution. Immediately, he began preaching in the fields all over Southern and Central Scotland, and he soon became one of the best known field preachers. The fact that Peden was so well known however made him one of the most wanted men in Scotland by the government. 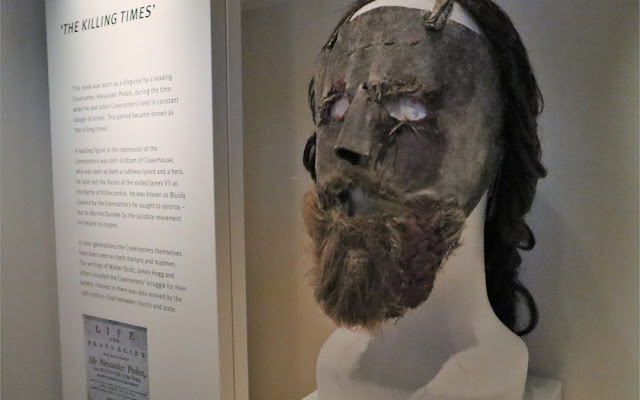 He started wearing a mask when he was traveling about so that the soldiers wouldn’t recognize him. 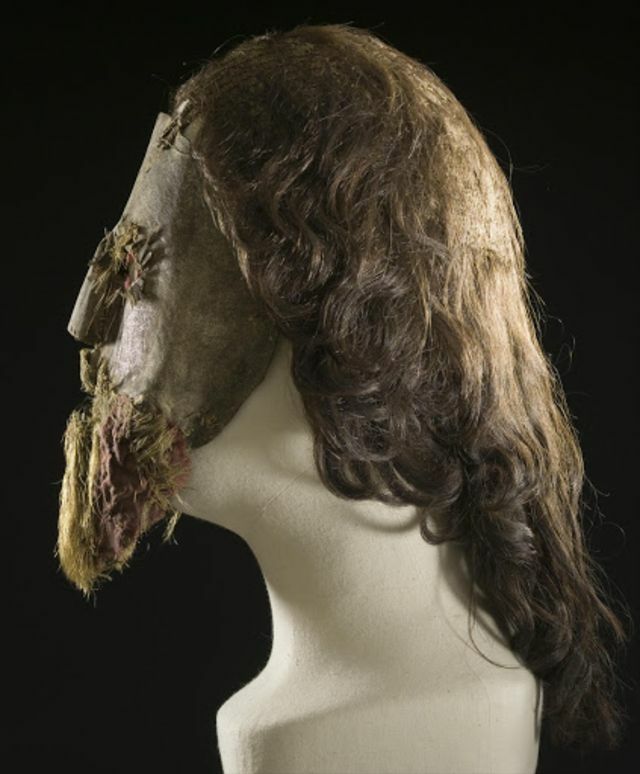 Even this wasn’t going to keep him safe forever though, so in 1670 he fled to Ireland where he stayed until 1673. He spent part of the time in Armagh. Peden preached to many, many people in the fields, and condemned the rest of the Presbyterian ministers in Ireland as sinful for not doing so themselves. Around this time, those Presbyterians who still held to the Solemn League and Covenant began to hold separate society meetings for fellowship. Peden came to Ireland often and his preaching helped strengthen these Irish Covenanters. When Peden returned to Scotland in 1673 he was arrested and spent the next four years imprisoned on the Bass Rock with forty other Covenanters. 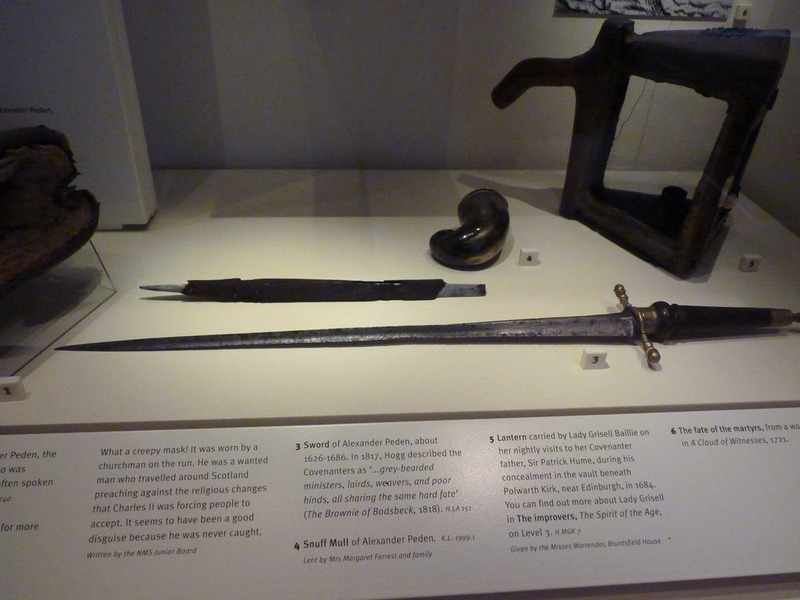 The year after he was released, he was back in Ireland for a short time, during which he again condemned the mainline Presbyterian ministers, this time because they sent letters to the government saying that they did not approve of the battle of Bothwell Bridge which the Covenanters in Scotland had just fought at. In 1682, he returned to Ireland where he hired himself out as a farm worker to a farmer called William Steel and his wife, who lived in Glenwherry, between Ballymena and Larne. After each day’s work, Peden would sleep in the barn with the Steel’s young servant boy. After two days of this however, the servant boy complained to his mistress that this new Scottish man didn’t actually sleep, but instead spent all night praying by name for the suffering members of the Church of Scotland. At tea time that night she got her husband to ask Peden if he was a minister, and he said that he was, and that he wasn’t ashamed of it. After this they didn’t make him sleep in the barn or work in the fields again, but instead they got him to preach and minister to those in the surrounding area. Peden stayed at Glenwherry until 1685, before going back to Scotland, where he preached his final sermon. He died in January 1686. Forty days later, in a final attack on his memory, government troops were sent to dig up his body and bury it two miles away out of disrespect.